Batter up! 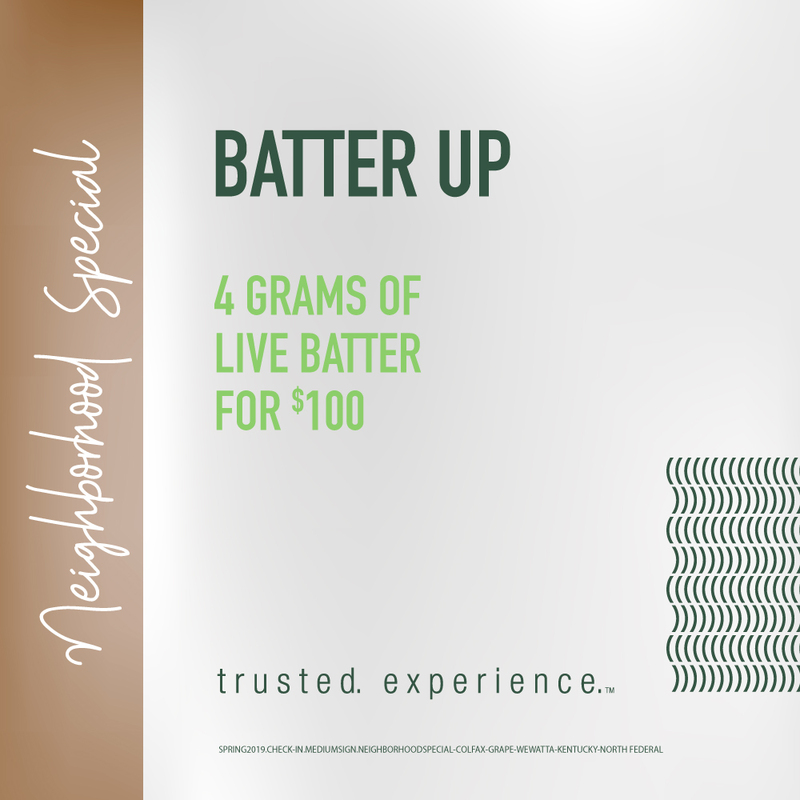 If you&apos;re headed to a Rockies game at Coors Field, stop in at Colorado&apos;s favorite dispensary -- now in downtown Denver. Whether you&apos;re going to a baseball game, shopping at Pavilion&apos;s, or at an event at the Convention Center, The Green Solution at Union Station (1995 Wewatta Street) is your destination for fine cannabis products and accessories. Located just 5 minutes from the LoDo, RiNo, and Highlands neighborhoods, and the first stop off the A Line from DIA, this TGS has everything you&apos;ve come to expect from us, in the middle of one of the nation&apos;s most vibrant downtown areas.